Email Merge and see exactly who opens or clicks. Powerful features include scheduled mail outs. Send personalized emails from inside Outlook using an easy Wizard. Personalize emails using custom fields, send unique links, send customized attachments and much more. 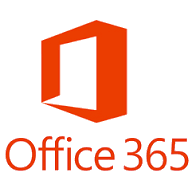 Works with contact lists saved in Outlook, Excel, Access and many more. Track your entire merge simply by ticking one box on the Email Merge Wizard. View summary and detailed information on all your merges to make informed decisions… or export the data to Excel to use in Salesforce etc. 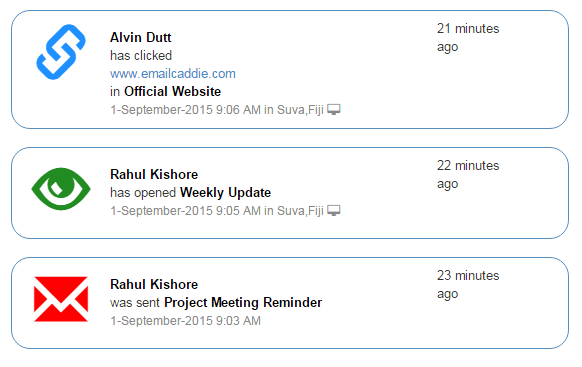 Collect information from your contacts including click response links in your emails. Recipients can send you information simply by clicking on a link. For example: they can click on a link to RSVP for an event. You can use your tracking data for follow-ups. Use the Email Merge Wizard to send out additional emails just to people who have opened an email, clicked on a link, click-responded Yes etc. Get notified instantly when a recipient opens an email or clicks on a link. Helps you increase conversions by following up, while the other person is still thinking about you or your products. Need to add additional people to an Email Merge. 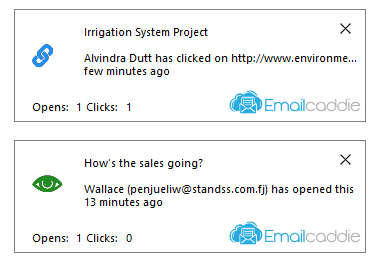 EmailCaddie lets you combine merges so that the tracking data is shown in one place. Buying for your team? Get in touch with sales.